I’m sitting at home with at least six inches of snow outside, an almost-unheard of avalanche warning for Snowdonia, and a glass of wine. Unless you love wading through thigh deep powder, not a good day to be tackling the hills. Instead, I realised I’d yet to write up this walk from February : a good day in mid-Wales in the hills north of Pumlumon. 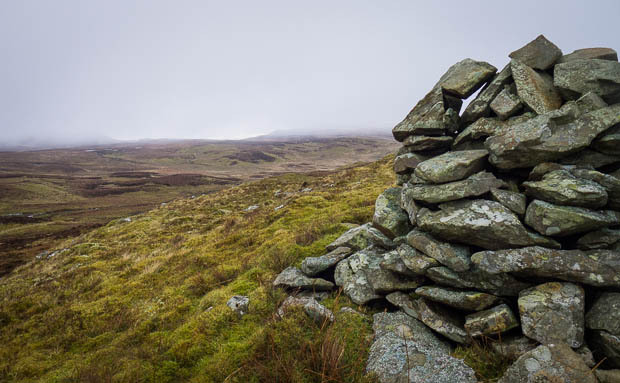 If you’re walking from Maesnant into Cwm Rheidol, the twin bronze-age cairns on Carn Hyddgen stand proud on the skyline across the river, keeping a watching brief on proceedings. 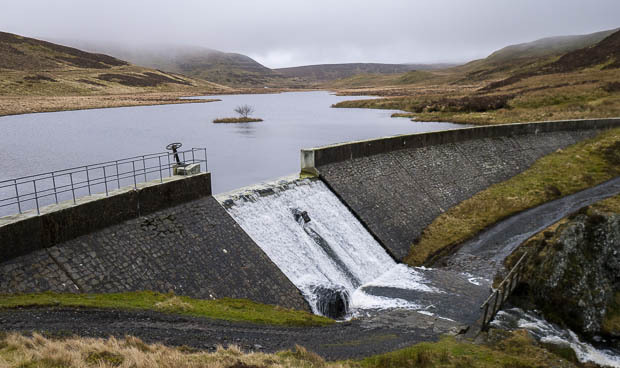 And there’s been plenty for them to watch over the years : Owain Glyndŵr’s famous victory over the English in 1401, The construction of the Nant-y-Moch reservoir, and the sea of encroaching windfarms. 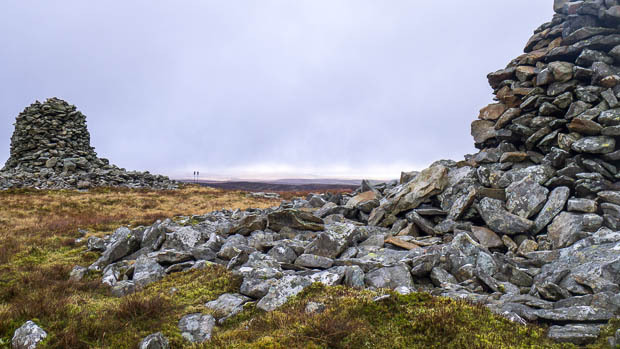 From a distance the cairns look reminiscent of Adam and Eve, the twin monoliths atop Tryfan – But that’s a trick of alignment and perspective : the cairns stand 6 metres tall, and 20m apart, so the ‘freedom’ of Carn Hyddgen can’t be easily gained. They are each 20 feet in height; of rough construction, the stones being piled into a mass without any signs of regular courses. No stones similar to those used in the building of these cairns are to be seen anywhere around; none are scattered about from which they could now be erected, and none are of a size larger than one man could carry hither. Of the carneddau of the Plynlymon district Carn Gwilym is probably the best preserved. Visited, 6th May, 1910. 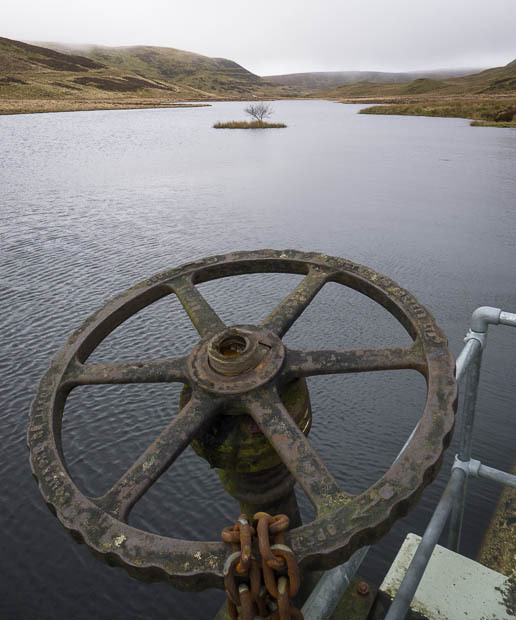 The quickest way to reach them is probably by crossing the river near Maesnant, but I chose a route in from the north, taking in some of the other sights that hide in this remote and infrequently visited part of Wales. The wind and rain over the previous few days had cleared, taking with it most of the snow that had been around on the higher tops in the Arans a weeks previously. Just a speckling of snow remained on the highest ground across the valley. 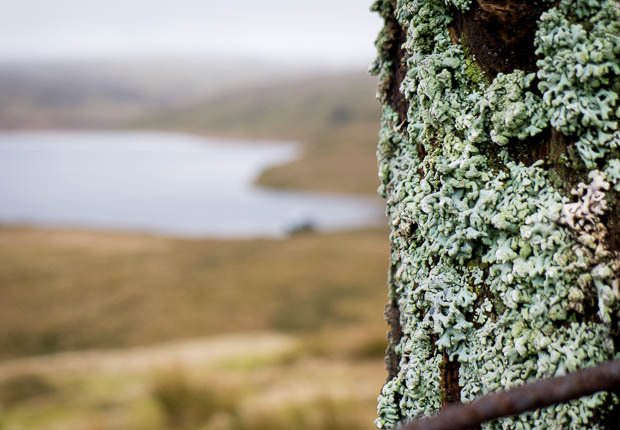 There’s parking at the end of the rough track to the Glaslyn nature reserve, and a good farm track takes you to the tumbledown farmhouse at Bugeilyn. It forks here, with the left heading down the boathouse, and the right fork (taken) heading past the reservoir of Lyn Cwm-Byr. The path crosses via a handy footbridge below the dam wall, as the water prepares to tumble 250m down the cliffs into Cwm Dulas. A short diversion from the path to the right takes you to the edge of the cliffs and scree, with waterfalls rushing down to the cwm far below. I’d heard some odd noises in the distance, their source now appeared heading towards me: a small JCB chugging it’s way home after a day doing something best not considered. Leaving the track, I was concentrating on navigation, heading across the moors to a small plateau marked on the map with a spot height. The streams and contours needed careful interpretation, and I was pleased that a quick glance at my phone confirmed I’d made it to the right spot. 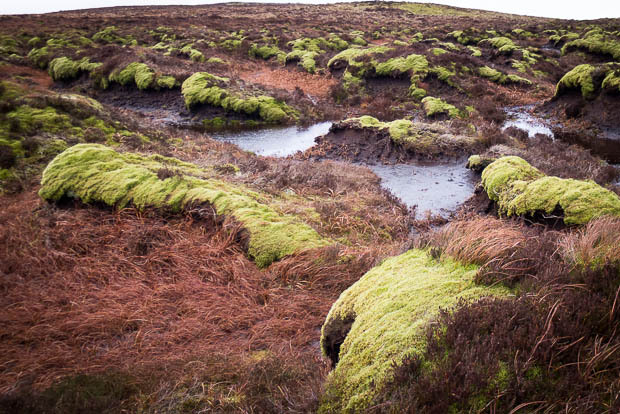 So pleased, in fact, that I relaxed and headed across some glutinous peat bogs towards Carn Hyddgen with just a cursory look at the map and the skyline. As I headed towards the top, things started to look a little wrong. The two large cairns were nowhere to be seen, replaced with a single smaller cairn that you’d struggle to see from a hundred yards away. The map revealed what I’d done: headed too far north, and walked up Foel Uchaf instead. Dark mutterings, and some concentration this time, as I pressed the last kilometer to Carn Hyddgen. The two summit cairns didn’t disappoint, and I broke out food and drink in the shelter of the southern one, as the wind was picking up slightly. To give an idea of size, the two specks you can see in the photograph below are the tops of my poles, right next to the farthest cairn. From here, it’s an easy descent into the deserted Hengwm valley, one of my favourite spots in this part of the country. 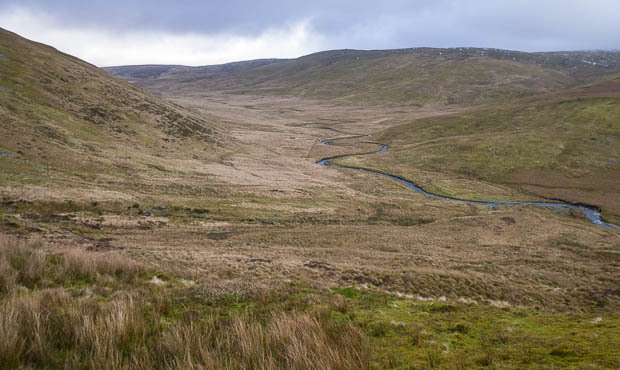 A path on the northern side of the river gives good firm walking, with only the occasional stream or marshy section to cross in thre long walk up the valley past Bugeilyn and on to Glaslyn and the car.